DGD1308 - AVTECH HD 1080p 8 Channel Tribrid (TVI/AHD/Analog) Digital Video Recorder. AVZ408 - AVTECH 1080p 8 (+ 1 IP) Channel Real-time recording Quadbrid (TVI/IP/AHD/Analog) Professional "Push Video" IVS Series Digital Video Recorder. May allow an additional IP Channel with 2k or 4k video output. AVZ316 - AVTECH 1080p 16 Channel Real-time recording Quadbrid (TVI/IP/AHD/Analog) Professional "Push Video" IVS Series Digital Video Recorder. May support up to 9 IP channels with 2k or 4k video output. 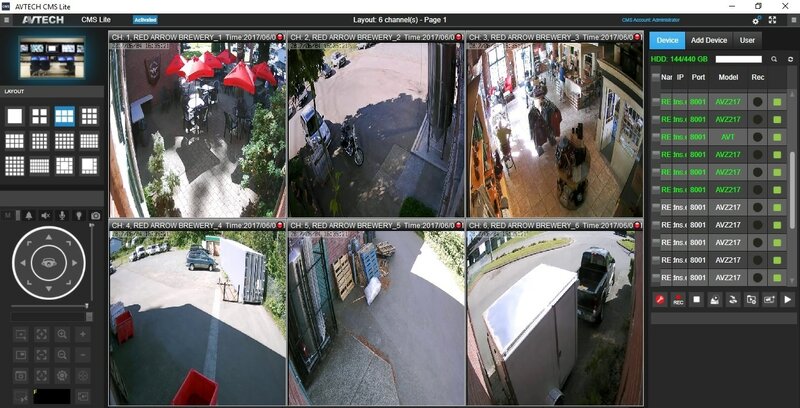 ​All of our Security Camera Systems include an Easy-to-Use Eagle Eyes application that enables the user to view and interact with their Camera System from any iOS or Android device. Our Camera Management Software (CMS) enables the user to view and manage up to 96 cameras live from from any work station.